Previous post: Are You Stuck In the Matrix? Next post: A Handout or a Hand Up? Last week I reviewed a book titled Your Money God’s Way by Amie Streater. This book identifies the seven money myths that keep people from taking charge of their finances. I thought for the next few posts I would cover these myths one at a time. The first myth has to do with the belief that money can fix your problems. Ironically there are people on both sides of this fence. Some believe that more money is the solution to their problems. Other people believe that money is the problem and that a life of poverty is the solution. Newsflash. Money is an inanimate object. It is neither good nor bad. It cannot solve anything. It only does as you tell it. How many times have you read articles about sports stars who were broke within a few years of retiring or being injured? How about those multi-million dollar lottery winners that are back in brokesville within a few years of winning? On the flip side, there are multi-millionaires who donate regularly to charities. They launch foundations to research diseases and care for the less fortunate. Just recently, Warren Buffett challenged others in the billionaire club to pledge to give a significant portion of their wealth to charitable causes. Several, including Bill Gates and his wife, have taken him up and that and plan on giving away most of their wealth. They understand that wealth is a tool not a goal in itself. If you want to have more money, learn how to use what you do have wisely. This way once you do come into more money, you’ll know how to manage it properly to make it work for you. Additionally, you will find that once you do learn to manage it, you’ll feel you have more money. I’ll bet you even begin to find ways to make more money so that you DO become more wealthy. It’s a self fulfilling prophecy in a way. If you feel that money is evil and that you will continue to live in an attitude of poverty, you are likely to miss out on many of the positive things that a proper perspective on money can bring. It is difficult to help and bless others when you are focused on your own situation. Now don’t get me wrong. I’m not saying it’s bad to not have a lot of money. There’s a difference between living in an attitude of poverty and just not having a lot of money. It’s all a matter of perspective. 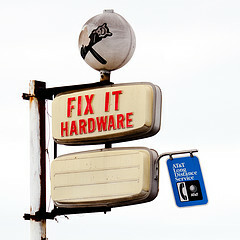 I can tell you from personal experience that money is not a fix it solution nor does it bring happiness. You can read more about our story here, but the short version is that a little over a year ago I lost a very good paying job in management due to my employer’s bankruptcy. I can tell you beyond the shadow of a doubt that my family is no less happy making less than half of what we used to. I can also tell you that there are no problems that we cannot fix today that could have been fixed while still employed there. In fact, because of we learned several years ago to manage our money, we are more able today to handle a setback than we were just 6 years ago at a much higher income. What do you think? Do you have anything to support or refute this myth?